For afternoon tea with a view it doesn't get much better than Aqua Shard , located on the 31st floor of The Shard - Western Europe's tallest building. Head Chef Anthony Garlando has put a modern twist on the British tradition, which is served in The Tea Wing and the restaurant's atrium. Sandwich options include native lobster and lobster mayonnaise on brown bread and cured smoked salmon with dill crème fraiche in a brioche bun while further savoury options are a spinach and goat's cheese mini quiche and a black pudding sausage roll with Yorkshire chutney. The freshly baked scones are flavoured with vanilla and white chocolate chips and come served with homemade jam, toffee and Cornish clotted cream. There's also the option of accompanying your tea with a glass of Veuve Clicquot champagne. Aqua Shard Afternoon Tea gyms, sporting activities, health & beauty and fitness. The best pubs near London Aqua Shard Afternoon Tea. Aqua Shard Afternoon Tea clubs, bars, cabaret nights, casinos and interesting nightlife. Where to have your meeting, conference, exhibition, private dining or training course near Aqua Shard Afternoon Tea. 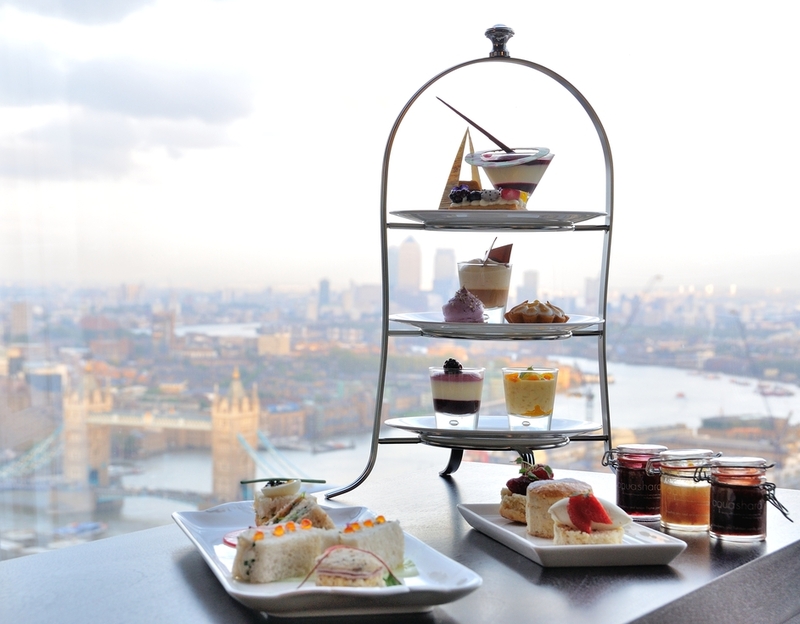 From cheap budget places to stay to luxury 5 star suites see our deals for Aqua Shard Afternoon Tea hotels, including Hilton London Tower Bridge from 82% off.